The investigation that involved the arrest of 22-year-old Tusitala J. Toese and 23-year-old Donovon L. Flippo started on June 8, 2018 at Northeast 12th Avenue and Northeast Broadway. The Police Bureau regrets this error. On Saturday, June 30, 2018, during multiple protest events in Downtown Portland, large fights broke out in which several people were injured. During the protest, projectiles were thrown and officers deployed less lethal munitions, including aerial distraction devices (ADD) and rubber ball distraction devices (RBDD). Deputies with the Multnomah County Sheriff's Office also deployed pepper spray and pepper balls. Portland Fire and Rescue provided on-scene medical evaluations to several people and four people were transported to area hospitals by ambulance. Of those transported, one person suffered what was believed to be serious, but non-life-threatening injuries and three suffered non-serious and non-life-threatening injuries. One officer suffered what was believed to be a non-serious and non-life-threatening injury as a result of being struck by a projectile. The officer was transported by patrol vehicle to the hospital. "Portland Police planned for today's protest so that people could exercise their First Amendment rights to speech and assembly," said Deputy Chief Bob Day. "We seized numerous weapons early on, and interceded and separated people when necessary. However, once projectiles, such as fireworks, eggs, rocks, bottles and construction equipment were thrown and people were injured, we ordered people to disperse." The Police Bureau is aware that several instances of criminal behavior were filmed and broadcast on a various media platforms. These crimes may include, but are not limited to: Disorderly Conduct, Assault, Theft, Robbery, and Reckless Burning. Investigators will be conducting follow-up which may lead to arrests at a later time. If you were the victim of assault, theft, robbery or another crime during this protest event, you are encouraged to file a police report. 46-year-old Luiz E. Marquez was arrested in connection with an investigation that began on June 3, 2018, in connection with a protest near Southwest 3rd Avenue and Southwest Madison Street. Marquez was arrested today near the Southeast Corner of Chapman Square. He was lodged at the Multnomah County Jail on charges of Theft in the First Degree, Theft in the Third Degree and Assault in the Third Degree. 22-year-old Tusitala J. Toese was arrested in connection with an investigation that began on June 8, 2018, near Northeast 12th Avenue and Northeast Broadway. Toese was arrested today at Terry Schrunk Plaza. 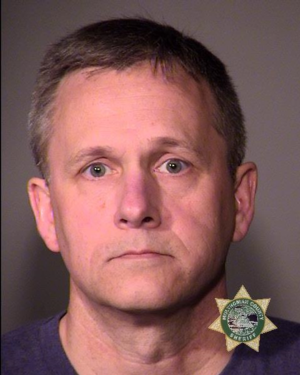 He was lodged at the Multnomah County Jail on charges of Assault in the Fourth Degree. 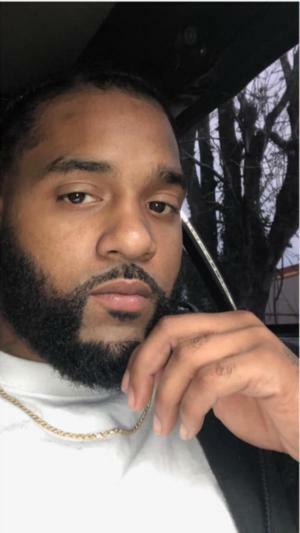 23-year-old Donovon L. Flippo was arrested in connection with an investigation that began on June 8, 2018, near Northeast 12th Avenue and Northeast Broadway. Flippo was arrested today at Terry Schrunk Plaza. He was lodged at the Multnomah County Jail on charges of Disorderly Conduct in the Second Degree. 37-year-old Matthew R. Braddock was arrested in connection with an investigation that began on May 31, 2018, near Southwest Broadway and Southwest Mill Street. Braddock was arrested today at Southwest 2nd Avenue and Southwest Taylor Street. He was lodged at the Multnomah County Jail on charges of Robbery in the Second Degree and Assault in the Third Degree. Inquiries regarding arrests, force, and law enforcement actions taken by the Federal Protective Service (FPS) should be directed to FPS. The Portland Police Bureau would like to inform the public there are multiple demonstrations planned for Saturday, June 30, 2018. The intent of law enforcement is to provide a safe environment for all participants, non-participants, and community members while ensuring the peaceful exercise of the First Amendment. A Families Belong Together rally, affiliated with https://front.moveon.org/ is planned for the North Park Blocks, between Northwest Davis and Northwest Everett Street, beginning at 10:00 a.m. Organizers have been working collaboratively with appropriate City Bureaus to plan for the event. Motorists should use caution in the area, with the expected large-sized crowd in which families with children will be present. In Downtown Portland, events are expected in Terry Schrunk Plaza and Lownsdale and Chapman Squares. The Police Bureau encourages road users to be aware of the potential for traffic interruptions and to plan for alternate routes in and around Downtown Portland on Saturday. Patriot Prayer has requested and was issued a permit for a street march in this area. Unpermitted marchers should remain on sidewalks and obey traffic laws. There will be a significant law enforcement presence in Downtown Portland, due to past threats and acts of violence between these different groups, both locally and nationally. Due to these threats and the potential for violence, persons attending any of the events should not bring any weapons (firearms, knives, etc.) or items that can be used as weapons (sticks, bats, poles, rocks, fireworks/incendiary devices, etc.) to any of the events. Prohibited items may be seized by police and, if in violation of city, state or federal law. 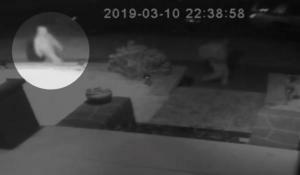 Incidents that threaten life, safety or property will be investigated through review of public, media, and law enforcement video, and through contact with witnesses and victims. People who participate in illegal behavior will be subject to arrest on Saturday or at a later time after additional investigation has occurred. People near others who are preparing to or in the act of committing criminal behavior are encouraged to separate themselves from the group and notify police. Life-threatening emergencies should be reported to 9-1-1. Call 9-1-1 if you can; text 9-1-1 if you can't. Texts to 9-1-1 cannot include emoticons, emoji's, pictures, or videos. Anyone with information about criminal behavior being planned at any of these events is asked to share it by email to CrimeTips@portlandoregon.gov; or, anonymously through Crime Stoppers of Oregon by texting CRIMES (274637) - Type 823HELP, followed by the tip; online at http://crimestoppersoforegon.com/submit_online_tip.php or by calling 503-823-HELP (4357).